Renowned missional leaders Michael Frost and Christiana Rice introduce the bold metaphor of a midwife to depict us as God's birthing attendants as the kingdom comes on earth as it is in heaven. With groundbreaking ideas and practical illustrations from all corners of the globe, To Alter Your World will change the way you see how your church can partner in God's world-altering mission. Nothing else could be more rewarding than laboring alongside a God who is birthing the new creation and inviting all to join in its benefits and blessings. "One of the many things I love about To Alter Your World is how Rice and Frost encourage the reader to see themself as one who will actually partner with God to help birth a wonderful new world. What an awesome and humbling responsibility!" "Pioneers. Adventurers. Explorers. Leaders. Missiologists. Those are the words that commonly come to mind when we consider our role as we engage with the Great Commisson in post-Christian contexts. But midwives? Seriously? Yes. They stand at the threshold of new life in all its raw vulnerability and potential. Occasionally they stand tenderly alongside the grieving, mourning lost joy and promise. Leading with sacrifice and strength, their role is never about them; they're simply present to serve as needed. In this book, Frost and Rice recognize that as we engage with what God is birthing in our world, a fresh posture is required. Yep, it's time to call the midwife; our world is waiting." "This beautiful book by Michael and Christiana reminds us that the entire creation is groaning, aching for a new world, like a mother giving birth. Pregnancy means labor, sweat, tears, blood . . . but in the end it also means new life! So roll up your sleeves and get ready . . . a new world is coming. We get to be the midwives." "In an over-messaged world, To Alter Your World cuts through noise with compelling narrative that describes our invitation to participate in kingdom transformation as a midwifing process rather than an engineering one. In a world experiencing searing pain with ever-deepening fault lines of injustice and income inequality, Christiana and Michael call us to question our traditional starting points for mission. With the stakes so high, they urge us to tap into Christ's imagination rather than summon our human determination. This is a wonderfully insightful book that honestly recounts sobering realities but also hopefully describes encouraging signs of how God is at work among us." 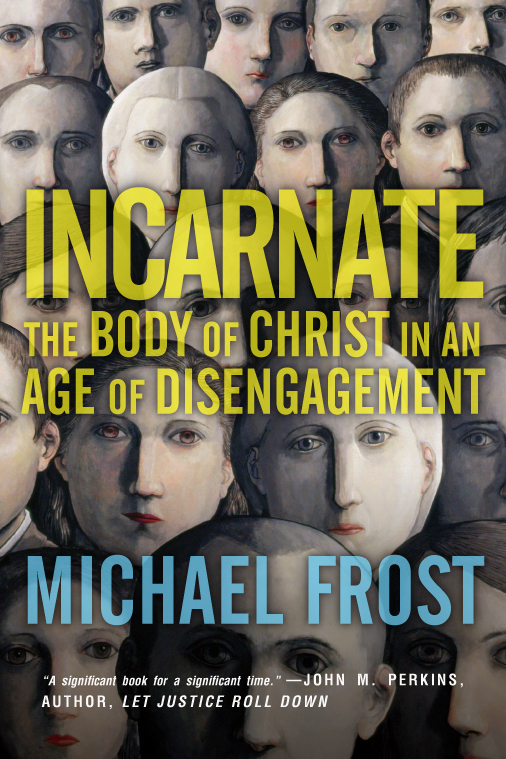 "In this outstanding book, my comrade Michael Frost further develops his pioneering ideas on how we ought to follow the way of our incarnate Lord—only here he partners with an exemplary practitioner of incarnational mission, Christiana Rice. The result is a piece of writing that is as illuminating as it is inspiring. Wonderful!" "Rejecting withdrawal or simply joining with the world, Frost and Rice ask the question all over again: How can we Christians transform the world? Moving beyond the old, tired Christendom habits, they offer the church a fresh way to inhabit, take up roots, and let God birth his kingdom in the neighborhoods of our lives. Their book To Alter the World truly alters our imagination for the practice of church, and I am so pleased to recommend it." "A bold and beautiful call to steward God's good news for the world. A must-read for anyone who longs to wade into the deep and ride the current to personal and global redemption. A deeply biblical glimpse of a deeply personal God inviting us into a deeply beautiful journey." "Most of us ache to see our messed-up world altered for the good, yet too often we unintentionally create more problems by pushing our own agendas. In To Alter the World, Mike and Christiana give us an insightful and timely metaphor that helps us detect the impulses of the Spirit so we can humbly inhabit our neighborhoods and birth new kingdom realities." "Leave it to a male-female collaboration to mine the often neglected but indispensable richness of feminine metaphors for God. In To Alter Your World, coauthors Michael Frost and Christiana Rice portray God groaning like a woman in labor and believers (both individually and corporately) serving as midwives in the birth of God's new creation. That distinctly female metaphor frames the entire book and entrusts to every reader a strategic role in the birthing process. The book itself is packed with wisdom for how we can sensitively and wisely participate in what God is doing. It speaks realistically about the challenges ahead without diminishing the hope and expectation of the joy that accompanies such a blessed event." "Frost and Rice pair principles with stories in ways that make this book sing. We get a 3D picture of what it means to live the future kingdom now, as individuals and as congregations. Their central metaphor of our role as midwives in God's process of renewal is fresh, intriguing, confounding, and disruptive. To Alter Your World will make you slow down, muse, question, and celebrate. It's not likely to leave you unchanged." "It is now evident that the Spirit is gestating something profoundly transformative across the societies of the West. The churches find themselves caught up in this birthing as they seek ways to understand and participate in this work of God. Christiana and Mike invite you into generative metaphors and imaginations that address this seeking. The images of birthing and midwifing are wonderfully evocative not just of the Spirit's work but also the calling of the churches to enter into their own birth pangs and groaning in order to join with God in the remaking of our world. Thanks to you both for this work." "This book had me at chapter one. Using Isaiah's provocative metaphor of God crying out like a woman in childbirth, Mike and Christiana help us imagine ourselves as midwives, assisting God in the birthing of a new creation. This book is as bold as it is beautiful." "A lawyer once tried to wriggle out of God's command to love your neighbor by asking Jesus, 'And who is my neighbor?' In their remarkable book, To Alter Your World, I believe Frost and Rice would answer that question quite simply by saying, 'The people living next door to you.' For those of us who have become increasingly disconnected from those living around us, this book is therapy for fractured people living in fractured spaces. It's a guide in the art of being in this world without becoming of this world. Offering a compelling eschatology alongside a biblical vision of sociology, To Alter Your World will alter your thinking about how to live as salt and leaven in a flat and tasteless world." "Frost and Rice offer an invaluable Trinitarian blessing to the work of the church in the world, at a time when benediction words are especially precious. They point us to the true source of life and restoration, offer a gentle but clear corrective to the places where even the best intentions have gotten us collectively sidetracked, and remind us of the certainty of our hope—the 'dream of a new heaven and a new earth, the world to which God is giving birth.' . . . 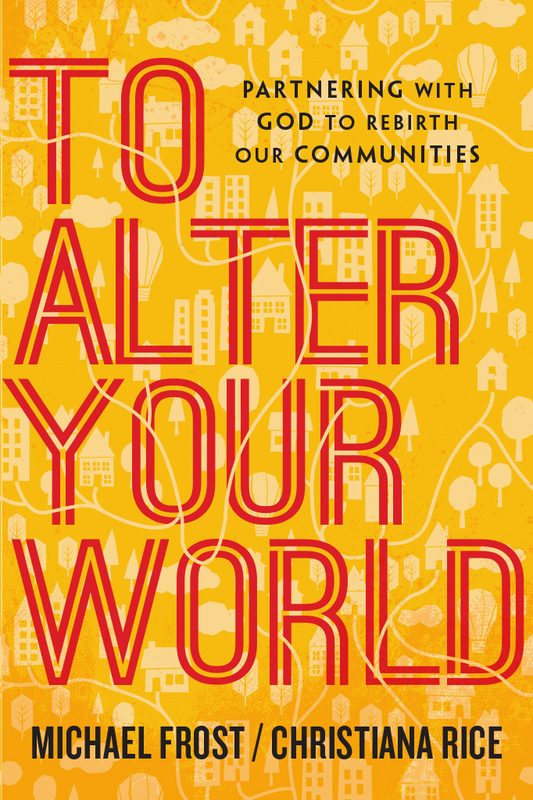 The authors of To Alter Your World invite us to embrace our magnificent, down-to-earth roles as midwives to the new life God is actively birthing within our neighborhoods and communities. May it be so." 2. What's Standing in Our Way? 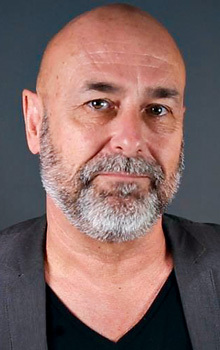 Michael Frost is an internationally recognized Australian missiologist and one of the leading voices in the missional church movement. He is the vice principal of Morling College in Sydney, Australia, and the founding director of the Tinsley Institute, a mission study centre located at Morling College. A popular speaker around the world, he has written more than a dozen books including The Shaping of Things to Come, Exiles, The Road to Missional, and Incarnate. 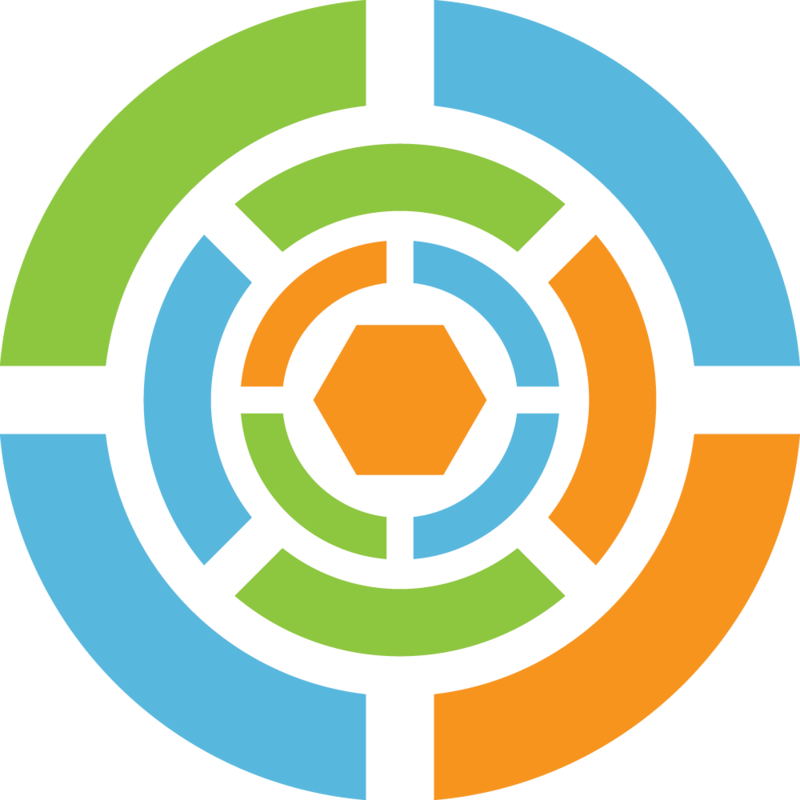 An expert in church planting, Frost cofounded the Forge Mission Training Network with Alan Hirsch. He remains an international director of that movement which is now based in the United States. Christiana grew up in Tokyo, Japan, the daughter and granddaughter of missionaries to that country. Whether teaching and coaching global leaders, engaging the deeper spiritual longings of her neighbors, or embracing the sacred mundane of daily life with her family and her community, Christiana seeks participate in God's restorative mission in all things. 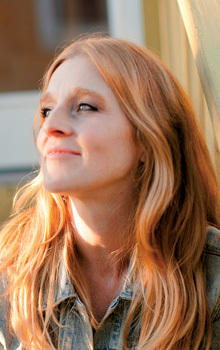 Read more about Christiana's work with Thresholds.